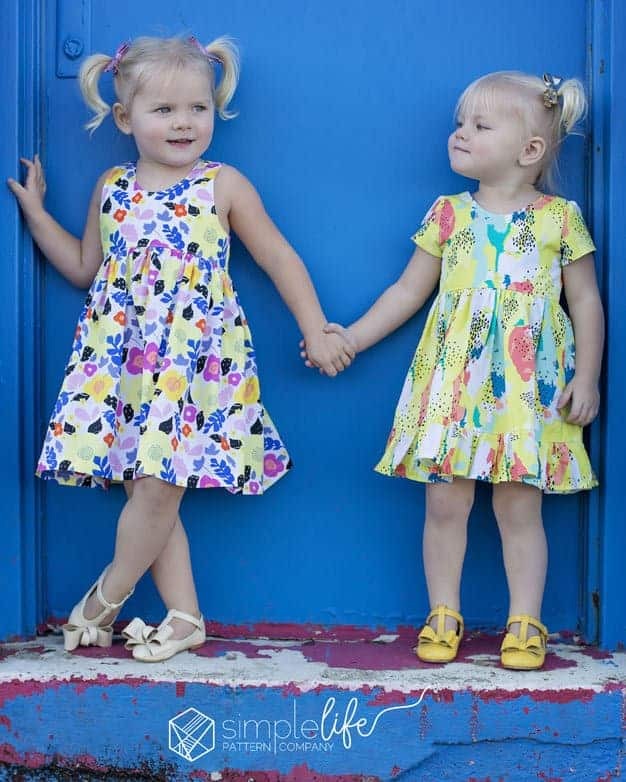 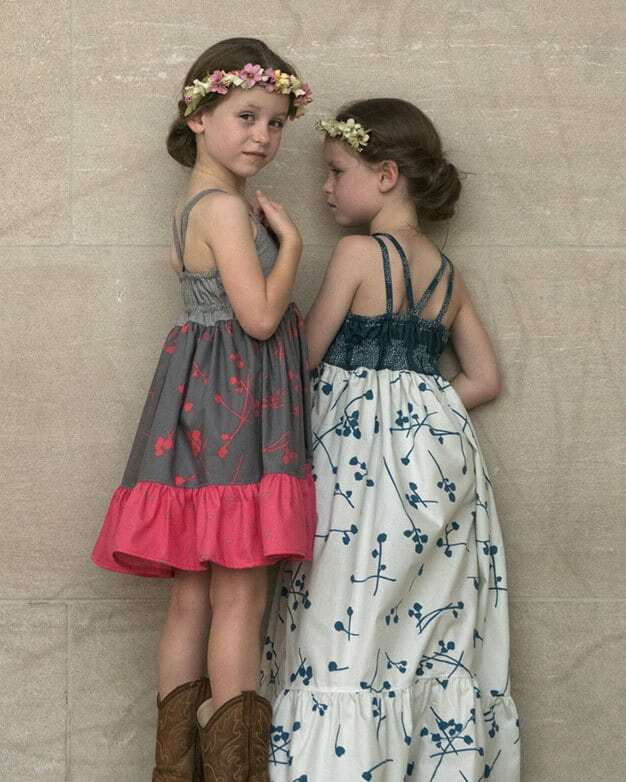 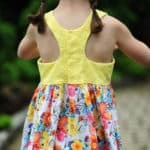 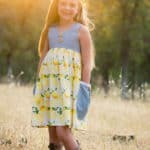 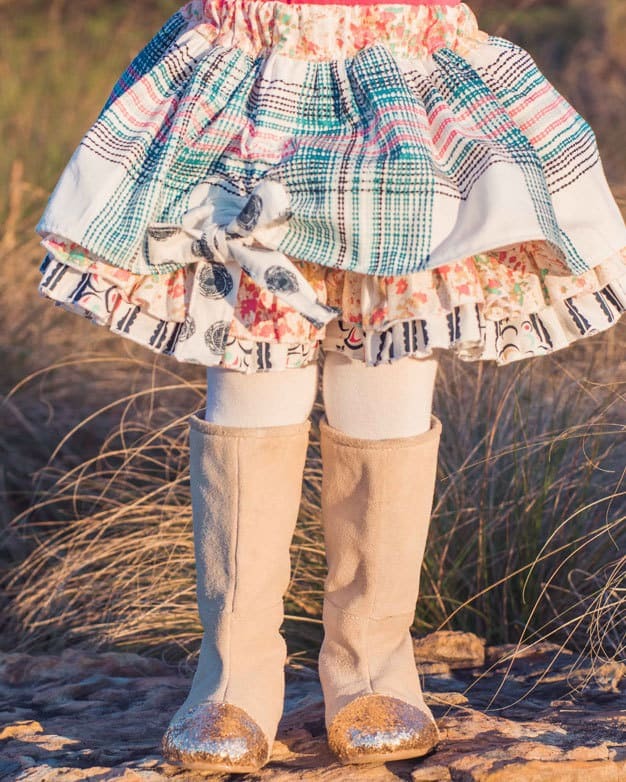 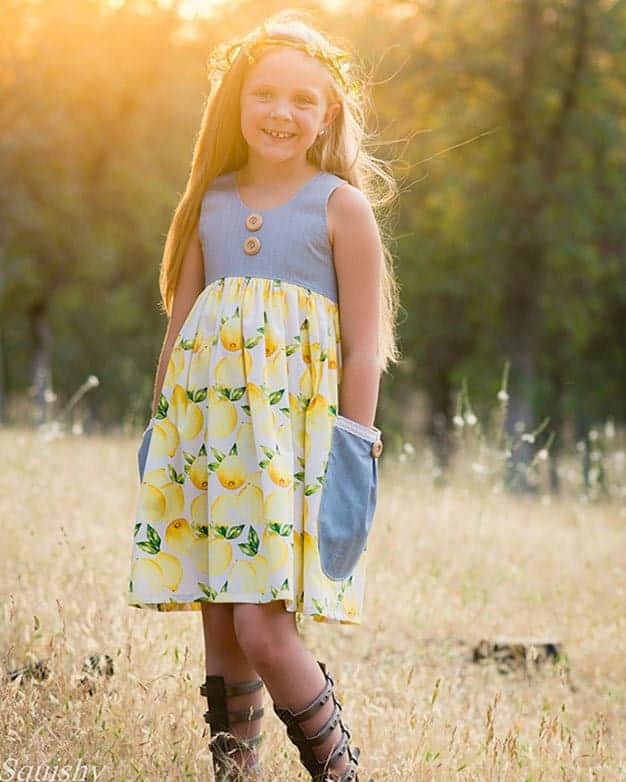 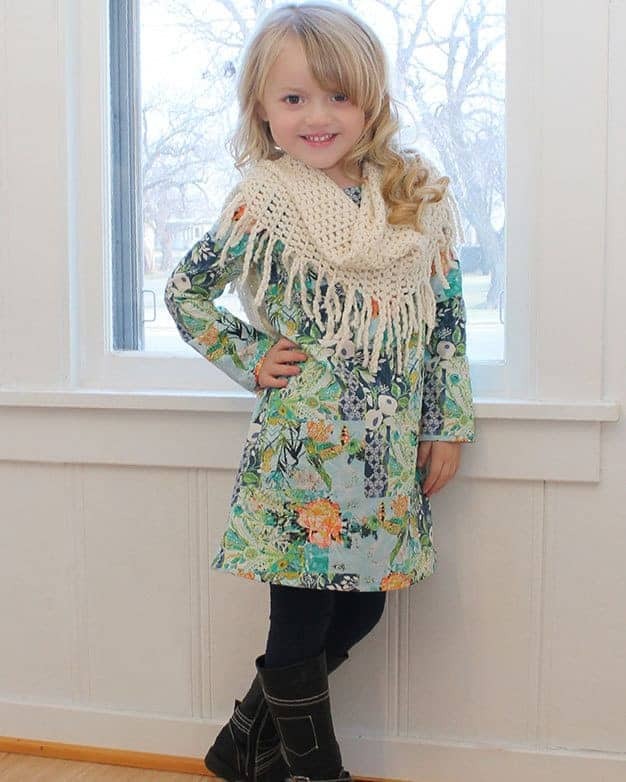 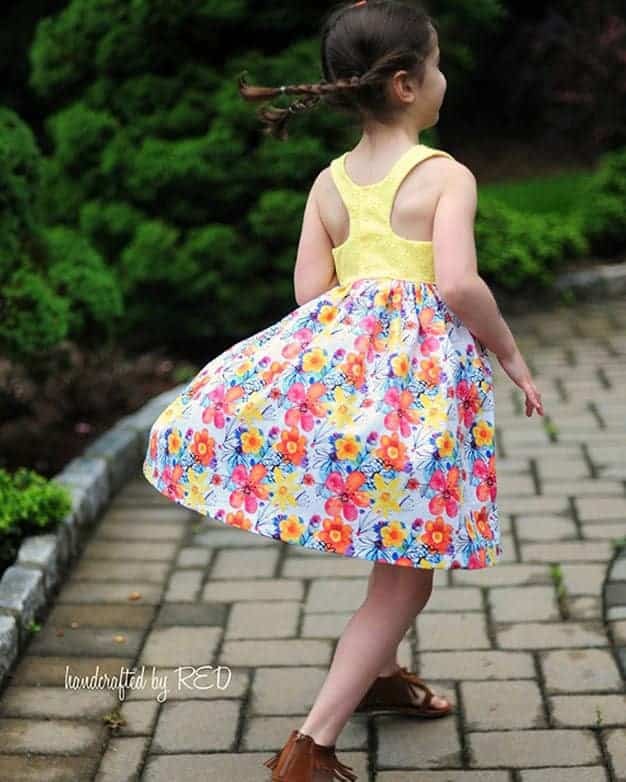 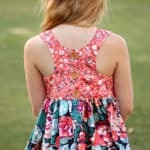 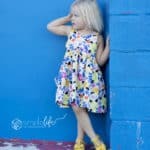 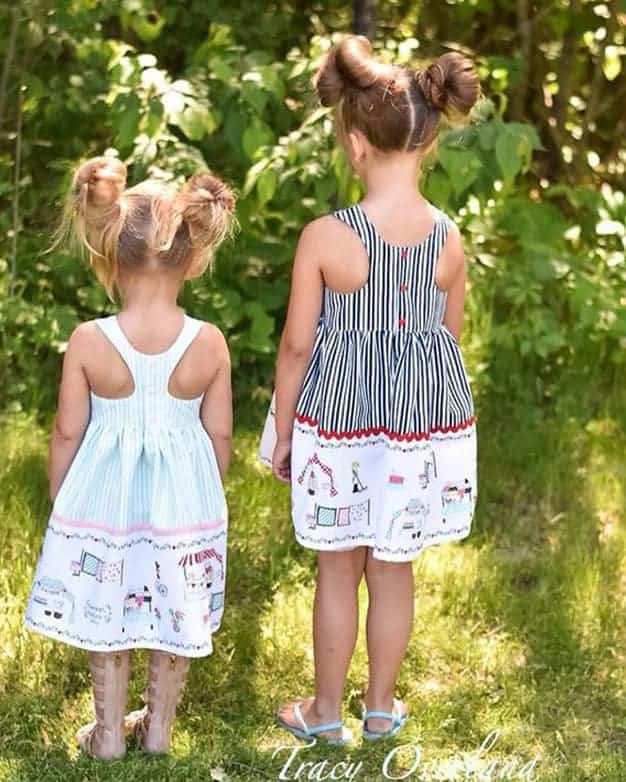 Lucy’s Tunic & Dress | PDF sewing patterns for girls sizes 2t-12. 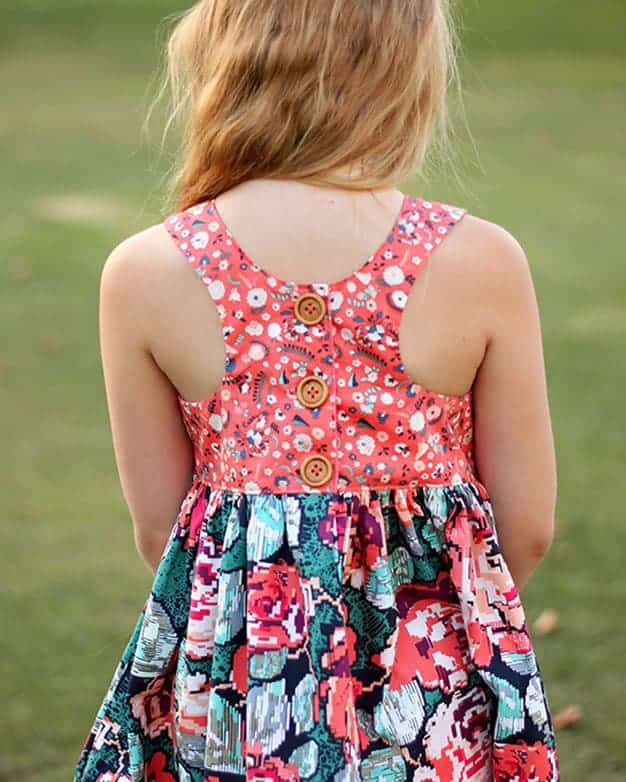 Lucy’s tunic and dress features an adorable racerback that can be made narrow or wide! 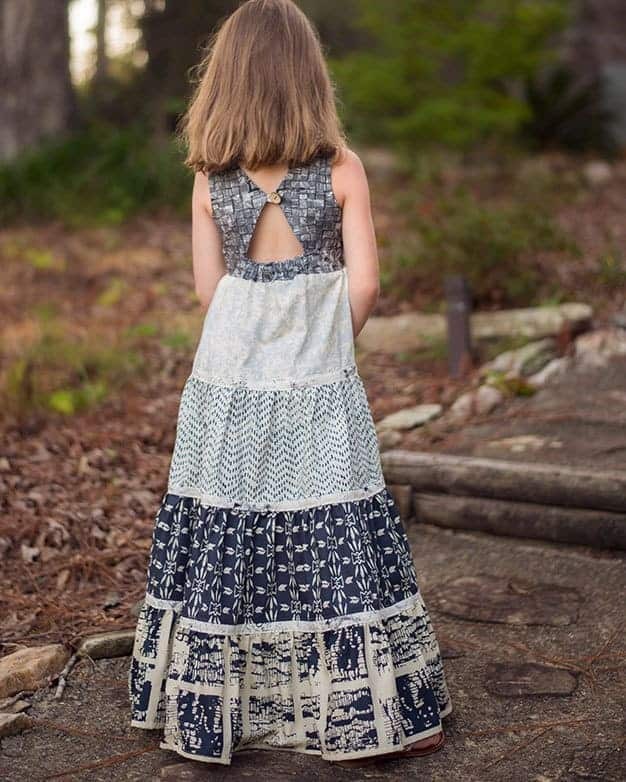 It is designed to be made with woven fabrics. 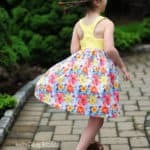 The curved bodice gives the gathered skirt a slight hi-low appearance. 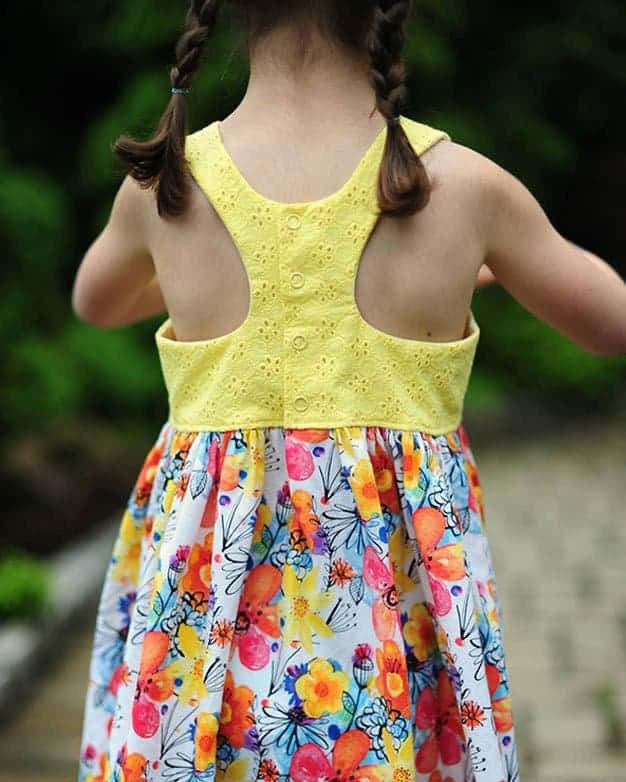 Lucy closes with buttons or snaps down the back and has two large pocket options, square or rounded. 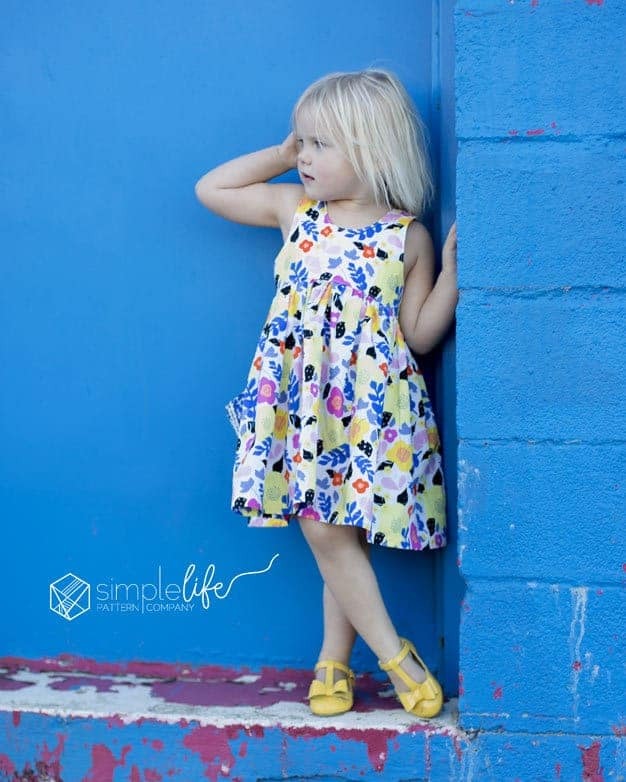 Your little lady will love being trendy in this racerback dress.